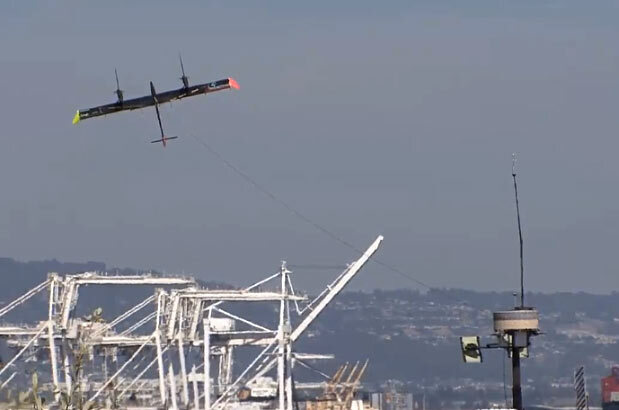 Larry Page just picked up another bird for his flying craft collection, and this plane doesn't even carry passengers. In fact, it's not used for transportation at all -- the aircraft is tethered to the ground. Google X, the tech giant's experimental arm, recently acquired the device's designer, Makani Power. 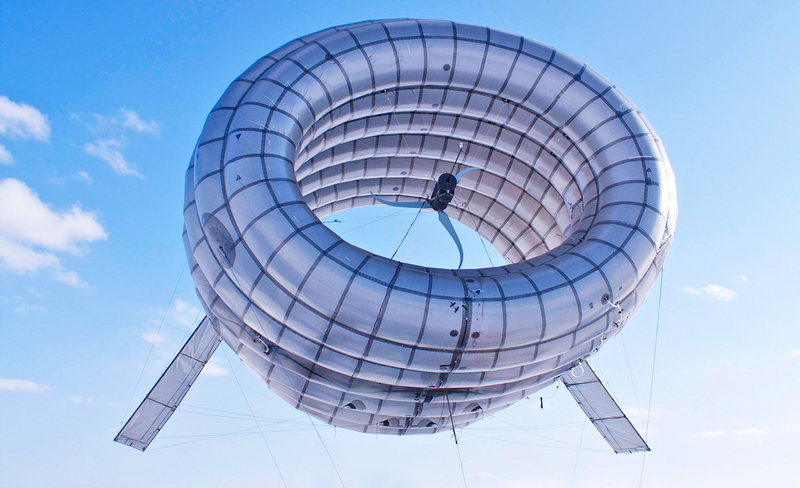 That company is currently in the process of creating a flying wind turbine system. In essence, the Airborne Wind Turbine (AWT) flies at an altitude of 800 to 1,950 feet in order to take advantage of stronger winds. On-board generators create up to 600 kilowatts of electricity collected through dedicated turbines, which is then sent on to a tethered ground station. It's an interesting idea indeed, and judging by Google's non-disclosed financial interest, Mountain View sees some serious potential as well. The acquisition, first reported by Bloomberg Businessweek, was but one component of the publication's in-depth look into Google X. You can read that article in full at the source link below.